You’ve probably heard that Costa Rica is more expensive than other Latin American countries. True, if you stick to the very touristy places and larger resort-type hotels. But, if you get off the beaten path and come to a smaller adventure hotel like the Howler Monkey Hotel , you can have a great vacation at a reasonable price and experience the local Costa Rican pace of life. The Howler Monkey Hotel is located in Cabuya, a small fishing village, just a few minutes past Montezuma on the Nicoya Peninsula. You get to stay in a small cabin with your own kitchenette. You can eat at the local restaurants, all reasonably priced, or you can get some groceries at either Super Dave or Super Chico, two grocery stores in town and cook your own. 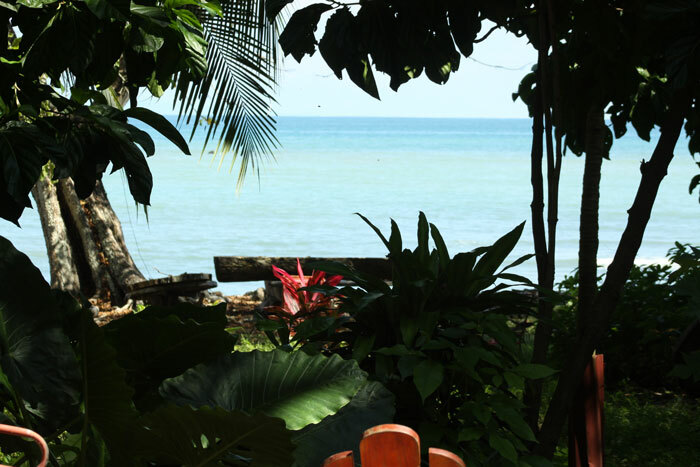 The Howler Monkey Hotel itself is nestled in the jungle, on the ocean. From the balcony of your cabin you can see howler monkeys and white-faced capuchin monkeys in the trees, watch the iguanas sunning on the roofs or chase each other, and that’s just the beginning. You can easily keep yourself busy without breaking the bank. From taking a stroll along the beach all the way to Cabuya Island at low tide, to using the hotel kayaks or bikes, or exploring Montezuma Falls and hiking the Cabo Blanco Absolute Nature Reserve, there is something for everyone. And if you feel the need to post a photo or two, the Howler Monkey Hotel has free wi-fi. Costa Rica’s first nature reserve, the Cabo Blanco Absolute Natural Reserve is located five minutes from the hotel. You can go on a real hike through the rainforest, with a good climb up, then down to the beautiful beaches on the Pacific Ocean. It will cost you $10 US per person to hike the park. Other than the fee, you will need plenty of drinking water, sunscreen, bug spray, a snack, and your camera. 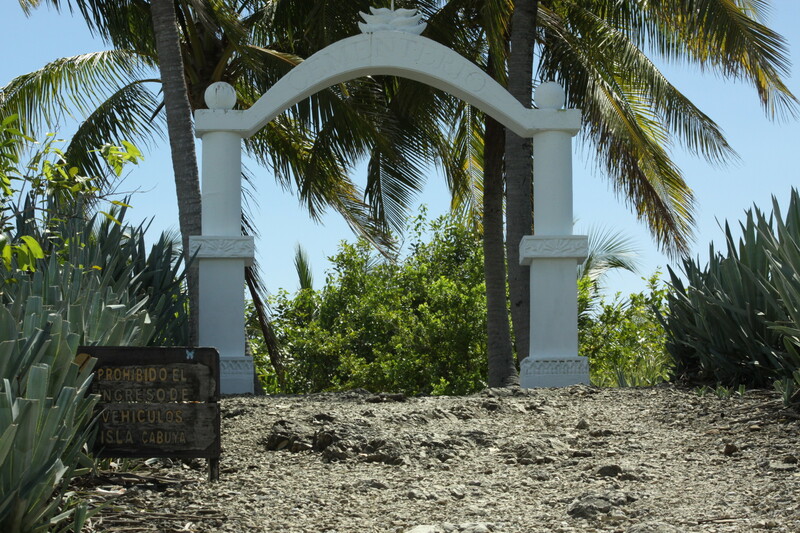 Watch for low tide when the ocean parts to reveal a stony footpath and take a stroll over to Cabuya Island , a small island cemetary where the locals are buried. It takes 15 minutes to walk to it from the Howler Monkey Hotel, and about ½ hour to circumnavigate. With its tide pools around the outer edge, it is also a popular spot to snorkel. Bring your camera, plenty of water, and a snack if you plan to stay a bit longer. Just make sure you head back before the tide comes back in. Again this excursion is free. If fishing is your thing, you can use the hotel kayaks and rods, hand-line from the surf, or the owner, Jim O’Callaghan can help you arrange fishing trips with local fishermen at a reasonable price. Locally, you are bound to catch grouper, mackerel, snapper, rooster fish, tuna or other species local to the Nicoya Peninsula. 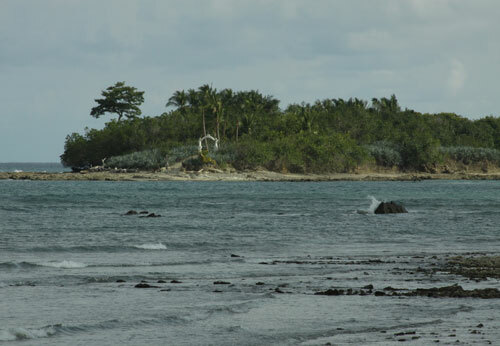 Or you can kayak to Cabuya Island and snorkel around the island. You can also use the hotel bikes and explore the area around Cabuya. in Montezuma. 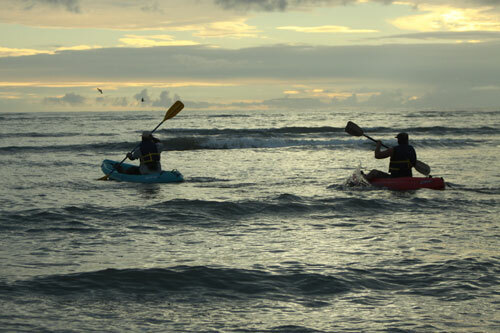 It is a great way to view the beautiful beaches in the Montezuma and Cabuya area. If you have your surf board, you can surf in Mal País and Santa Teresa, or even Montezuma for free, or borrow a surf board from the hotel. Many of the local tour companies also offer surfing packages. If you prefer to cool off in freshwater, you can hike up to the Montezuma waterfalls, a series of waterfalls cascading over the rocks. 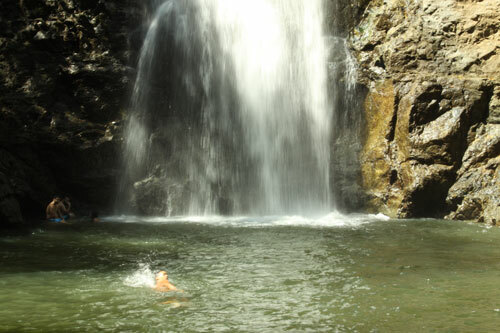 The waterfall is reached on a 20-minute hike from the Montezuma village centre. The rough trail leads steeply uphill through the thickly forested river valley. Again this is a free adventure. Just make sure to wear sturdy, water-resistant shoes as you will wade through the river and clamber over slippery rocks and roots, and wear your bathing suit. William, an entrepreneurial Costa Rican biologist and owner of Suntrails, rents the land to the Montezuma Waterfall Canopy Tour. His house is part of the main Suntrails office where the first line of the canopy starts. You will journey over the mountains of Montezuma with 13 platforms, a suspension bridge 30 meters high between trees and 9 cables of various sizes with panoramic views of the Pacific Ocean. You will end at the majestic Montezuma river and waterfalls where you can take a dip. Book your canopy tour through Suntrails or other companies like Zuma Tours. Jim can help you book a horseback riding tour with Claudia in the Cabuya area. Many of the tour companies offer riding tours in Montezuma and other areas close by. Jim can help you arrange snorkeling and diving trips to Tortuga Island, through Zuma Tours. And if you just feel lazy and just want to relax, grab a book, get into your hammock and let the stress disappear. Take a dip in the hotel pool, grab yourself a drink and sit in the rocking chairs by the pool. Make sure you keep your camera close by. You never know when the local howler monkey group will show up in the canopy.